Raise only the right heifers. — Between feed, labor, production, capital and overhead costs, herd owners have reported spending approximately $1,860 to $2,263 for each heifer raised.3 This could easily be one of the top expenses, which means raising the right heifers is crucial. 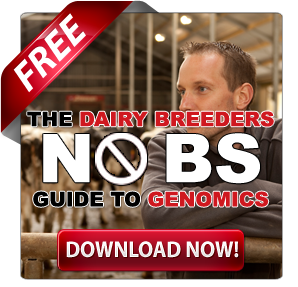 Genomic testing that can determine susceptibility to calfhood and mature cow diseases can help you invest in heifers that have a better chance of adding short-term and long-term value to your herd. Guard against scours and bovine respiratory disease (BRD). — Scours and BRD are responsible for decreasing calf and heifer survival rates and increasing age at first calving. Scours is responsible for up to 56.5% of mortality among pre-weaned dairy calves. Calves that survive scours can face lifelong setbacks, including delayed growth, and are slower to reach the milking string as heifers.4,5If a calf has pneumonia during the first 90 days of life, it is more likely to have increased mortality before first calving as well as a higher age at first calving, among other challenges.6 Proactive management and vaccination of healthy pregnant cows and heifers with an injectable vaccine, such as SCOURGUARD®, or an oral vaccine given to calves before colostrum uptake can help prevent scours. And early detection of respiratory disease symptoms and treatment with an antibiotic approved for use in calves, if needed, can help prevent chronic infections for better lifetime productivity. Optimize your reproduction program. — Getting heifers inseminated as early as possible can have an enormous impact on age at first calving. And, it will get them to the milking herd sooner. Simple steps can be taken to help improve management of your heifer reproduction program: Move heifers to the artificial insemination (AI) pen based on age. Then, on the date of the move and again 10 to 12 days later for heifers not yet inseminated, use LUTALYSE® HighConInjection (dinoprost tromethamine injection) with your veterinarian’s recommendation. Finally, as heifers are moved to the breeding pen, conduct routine pregnancy checks so you can identify pregnant females to move out and any open heifers to re-enroll into your breeding program immediately. Successful heifer management that lowers age at first calving and improves heifer survival is a demonstrated way to ensure your dairy continues to gain net farm income. For more about heifer survival rate as one of the top drivers of profitability for your dairy, watch this video about solutions for helping heifers to not only survive but thrive on your dairy. IMPORTANT SAFETY INFORMATION: Women of childbearing age and persons with respiratory problems should exercise extreme caution when handling LUTALYSE/LUTALYSE HighCon. LUTALYSE/LUTALYSE HighCon is readily absorbed through the skin and may cause abortion and/or bronchiospasms, therefore spillage on the skin should be washed off immediately with soap and water. Aseptic technique should be used to reduce the possibility of post-injection clostridial infections. Do not administer LUTALYSE/LUTALYSE HighCon in pregnant cattle unless cessation of pregnancy is desired. See full Prescribing Information here. Assess and monitor outdoor liquid manure storage during the rainy season. Professionalism and attention to detail across the entire business is vital to ensure good technical performance and profitability on a year-round calving dairy unit. This is according to Lloyd Holterman, one of the four partners managing Rosy Lane Dairy, Watertown, Wisconsin, where 1,075 Holsteins are milked. The team at Rosy Lane opts for three-times-a-day milking as well as a double OV-synch programme, and do not feed a transition diet. Speaking at the Bridge Hotel, Wetherby, last week (20 March) as part of AHDB Dairy’s spring meetings, Mr Holterman stressed that while these options were negotiable, there were several areas of management that were not. These are the five things he believes are crucial to running a profitable dairy. Talented workers are trained to do other jobs in case of emergencies. Rosy Lane uses one programme in the milking parlour (AFI milk) and a herd management system based on rumination collars (Dairy Comp 305). The parlour system monitors cow production, milking speed, conductivity (mastitis) and activity (pedometer). A 25% saving on milking time was made by grouping cows according to milking speed. A self-loading, self-propelled mixer wagon was bought to cut, mix and feed the total mixed ration. It measures the weight of each ingredient, projects future feed use, and costs less than the four pieces of machinery it replaced, saving a total of £16,500/year. Breed for longevity as this allows you to move your cows up a group. There are four groups and four ways of leaving the farm, such as dead, forced cull, voluntary cull or sold as a milker. 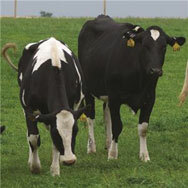 Use fertility scores and breed for fertile cows. Failure to get in-calf is the main reason for culling in the US. Net herd replacement cost is based on the cost or value of raising a replacement heifer versus the value of a cull cow. Because rearing heifers is expensive and cows are most productive in their fourth lactations, it is a financial drain on the business to be running a high forced cull rate and needing heifers. Rosy Lane manages 4.3 lactations on average, with a 20% cull rate, plus a 3% death rate. At 20% replacement, the farm would average five lactations a cow. A first-lactation animal that is culled only yields 10.3 litres/day, while a fourth calver culled produces 23.8 litres/day and a fifth calver yields 25.7 litres/day. While there are no industry targets for net replacement cost, it is advisable that farms start to work it out and try to increase cow longevity and reduce their net herd replacement cost, explains Mrs Holterman. She adds: “There is no target for net herd replacement cost. This is a just a relatively new number in benchmarking that US producers have started paying attention to in the past couple of years. Steve West, knowledge exchange manager for AHDB Dairy, says that reducing the number of forced culls should improve net herd replacement cost. He adds: “The idea is that higher yielding, year-round calving herds need healthy cows at the fifth lactation. Twenty-two herds have received PGH honors all 28 years the award has been given:Bomaz, Inc., Wis.; R. Paul Buhr, Jr., Wis.; De Su Holsteins LLC, Iowa; End Road Farm, Mich.; Brian & Wendy Fust, Wis.; Jaloda Farms, Ohio; Randy W. Kortus, Wash.; Roger & David Latuch, Pa.; Lirr Farm, Wis.; Nordic-Haven Holsteins, Iowa; Gaylon, Gary & Steve Obert, Ill.; Mark P. Paul, Wis.; Regancrest Holsteins, LLC, Iowa; Darrell Richard, Ind. 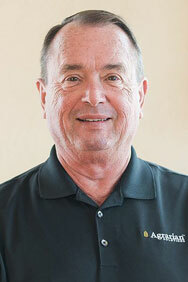 ; Alfred & Mark Schmitt, Minn.; Scott Seward, Wis.; Stelling Farms, Inc., Minn.; Twin-B-Dairy LLC, Wis.; Veazland Farms, Maine; Walhowdon Farm, Inc., N.H.; Wardin Bros., Mich.; and Welcome Stock Farm, LLC, N.Y.
How Is Your Milking Efficiency? In order to reduce mastitis and maintain milk quality, producers need to maintain milking equipment in good working condition. Adequate effective reserve, consistent pulsation, replacement of liners, and proper system vacuum levels are important factors that lead to effective milking of cows. However, milking efficiency should be considered from two other perspectives, the amount of time the milking cluster is attached to the udder (unit on time) and the percent of unit on time that milk is flowing at or near maximum. When milk isn’t flowing while the unit is attached, it is not only inefficient, but more importantly, damages the teat tissue, which may increase the risk of mastitis and decrease milk yield. A large majority of dairy farms have their milking equipment evaluated and maintained on a routine basis. Although proper equipment function is necessary for milking efficiency, it does not necessarily guarantee it. Two management areas that could lead to poor milking efficiency are milking routines that don’t achieve consistent milk letdown and overmilking. Either one of these problems can leave cows ‘high and dry’ for a period of time, and expose teats to high vacuum levels. 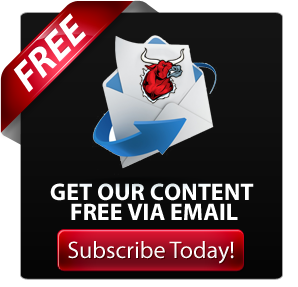 In this article, we’ll discuss the first of these issues, poor milk let down or what is commonly called bi-modal milking. During stimulation of teats before milking, nerves carry an “electric signal” to the brain. On receiving the signal, the brain then releases oxytocin into the blood and then to the udder. It takes about 1 to 2 minutes for oxytocin levels to increase in blood to optimally contract muscle cells that surround the milk ducts, which then squeeze the milk down towards the teats. The two important points about this oxytocin release are enough stimulation (at least 10 seconds of actual physical touching) of the teats and the duration of the ‘lag time’, that is, the time interval between when teats are first stimulated until the cluster is attached. Unfortunately, with increasing herd size, the number of cows that can be milked through the parlor per hour, or parlor turnover rate, is often identified as one of the choke points of herd capacity. Thus, parlor efficiency is emphasized at the expense of milking efficiency. Low Milk Flow = High vacuum in the liner or cluster. VaDia units can measure vacuum levels at four different places on the cluster simultaneously. We often measure vacuum in the mouthpiece of a front and rear liner, near the cluster and in a short pulsation tube. In the example below, Cow 1 was ready to milk; the vacuum in the liner mouthpiece near the teat (red and blue lines) dropped quickly (less than 10 seconds after the unit was attached) and remained low until each teat was finished milking (the front quarter [blue line], finished before the rear quarter [red line]). What about Cow 2? Vacuum in the liner mouthpiece and cluster (green line) decreased, but then increased to near maximum levels, and finally decreased again. This cow was not ready to milk, milk flow was low for more than a minute after the milking unit was attached, signifying bimodal milk letdown. So how does bimodal milking relate to milking efficiency? For cow 1, milk was flowing for about 4 minutes and 30 seconds of the total unit on time of 4 minutes and 45 seconds. Thus, the efficiency of this milking was 95%. For cow 2, milk was flowing for about 2 minutes of the total 3 minutes and 15 seconds the unit was attached, or a milking efficiency of about 60%. Why does this matter? Recent research from Wisconsin found that when teats are subjected to high vacuum (as in the case for cow 2) blood is congested within the teat, the diameter of the teat canal decreases, which then decreases milk flow (Penry et al., 2018). This can be detrimental to the heath of the teat tissue and possibly impair both immune defenses of the teat as well as milk yield. In the case of cow 2, in order for all of her milk to be harvested during the milking, she would have had to compensate with a higher milk flow rate in a shorter duration of time, despite the anatomical changes to her teat during high vacuum, which is unlikely. In Part 1 of this series, we discussed milking efficiency, defined as the percent of unit on-time (cluster attached) that milk is flowing near maximum. For example, if a milking unit is attached for 5 minutes to a cow during milking, and strong milk flow occurs for 4 minutes and 45 seconds, her milking efficiency is 95% (285/300 seconds). When milk isn’t flowing while the unit is attached, it is not only inefficient, but more importantly, can damage teat tissue, and thus may increase the risk of mastitis and decrease milk yield. As stated in the Part 1, most dairy farms evaluate and maintain their milking equipment on a routine basis. Although proper equipment function is necessary for milking efficiency, it does not necessarily guarantee it. Two management areas that lead to poor milking efficiency are milking routines that don’t achieve consistent milk letdown and overmilking. Either one of these problems can leave cows ‘high and dry’ for a period of time, and expose teats to high vacuum levels. In this article, we’ll discuss overmilking, which is an problem that occurs at the end of milking. After a milking is completed, the vacuum should be turned off and cluster removed from the cow as soon as possible. 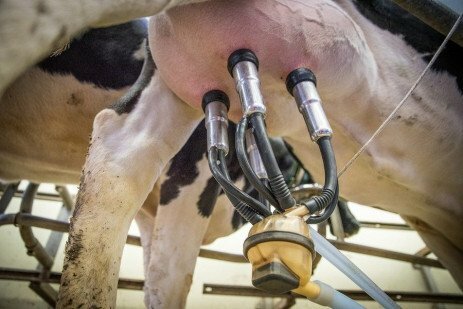 Removal of the units is usually done by automatic detachers (take-offs) that rely on sensors that record milk flow between the cluster and milk pipeline. When milk flow remains at a low level (about 0.5 lbs/minute) for a few seconds, the vacuum shuts off and the cluster is detached from the cow. 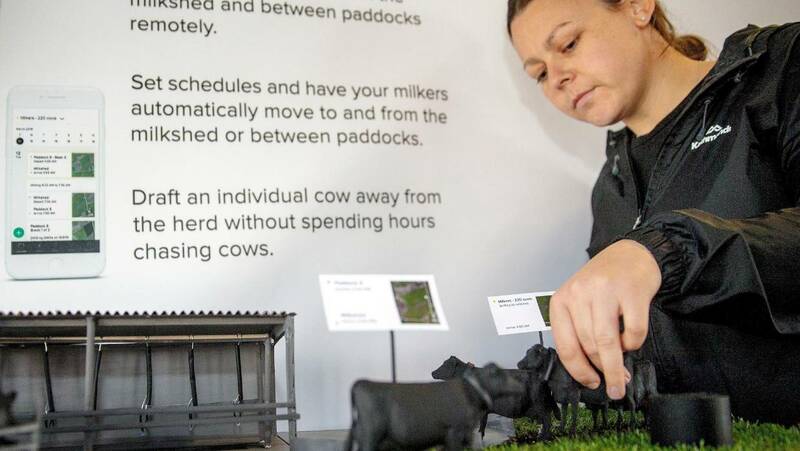 However, if herds lack detachers, or if operators intervene in deciding when a cow is done milking, units may be removed manually. Generally, it is undesirable to have units attached for more than 15 seconds after milking completion and units that are attached for more than 30 seconds after milking are considered to be overmilking. In the example below, Cow 1 was ready to milk; the vacuum in the liner mouthpiece near the teat (red and blue lines) dropped quickly (less than 10 seconds after the unit was attached) and remained low until each teat was finished milking (the front quarter [blue line], finished before the rear quarter [red line]). At the end of milking, although the front quarter was done milking for nearly two minutes before unit take-off, the rear quarter continued to milk until about 15 seconds before unit take-off and thus was not overmilked. Cluster vacuum (green line) continued to fluctuate in a range of about 2 inches of mercury (inHg) during this time, suggesting milk flow for the cow was continuous. What about Cow 2? Milk flow started soon after cluster attachment, but vacuum in both the front and rear quarters increased to near maximum and plateaued 2 minutes before unit take-off. Also, the cluster vacuum (green line) increased to maximum vacuum during this time with little variation, which suggests little or no milk flow. This cow was overmilked. So how does overmilking milking effect milking efficiency? For cow 1, milk was flowing for about 4 minutes and 30 seconds of the total unit on time of 4 minutes and 45 seconds, or a milking efficiency of about 95%. For cow 2, milk was flowing for about 4 minutes and 30 seconds of the total milking time of 7 minutes and 30 seconds, or a milking efficiency of about 60%. Why does this matter? Unnecessary high vacuum is never good for teat health. Additionally, it is very common for overmilked cows to have extended unit on-times. This reduces cow throughput in the parlor and also extends the length of time that is needed to milk a herd. Also, slower parlor efficiency requires cows to stand in the holding pen and parlor for longer periods of time, reducing the time they spend resting and eating. Anecdotally, by reducing overmilking and decreasing unit on time by just a couple of minutes per cow, some herds have reported decreasing the duration of a milking shift by at least 45 minutes, or decreasing the total milking time by about two hours per day for a three time a day milking herd. 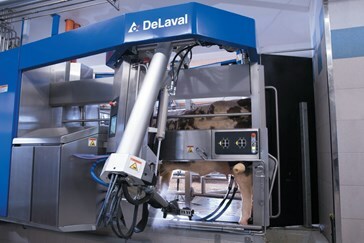 The most common causes of overmilking are lack of automatic detachers, automatic detachers that are not operating properly, or the tendency to have milking operators place the detach mode to manual. This often occurs when operators are frustrated with detachers that aren’t functioning well, or the mistaken belief that cows need to be milked out dry. Cow 3 (below) is a VaDia plot of overmilking that occurred from re-attaching the cluster after the cow was done milking, note the drop in all vacuum lines while the unit was off the cow. n Parts 1 and 2 of this series, we defined milking efficiency as the percent of unit on-time (cluster attached) that milk is flowing near maximum. For example, if a milking unit is attached to a cow for 5 minutes during milking, and strong milk flow occurs for 4 minutes and 45 seconds, her milking efficiency is 95% (285/300 seconds). When milk isn’t flowing while the unit is attached, it is not only inefficient, but more importantly, it can lead to high vacuum on the teat, which damages teat tissue, and thus increases the risk of mastitis and decreases milk yield. Also in the previous articles, we described the two major management problems that lead to poor milking efficiency ̶ milking routines that resulted in delayed milk letdown (bimodal milk letdown) and overmilking. Either one of these problems can leave cows ‘high and dry’ for a period of time, and expose teats to high vacuum levels. In this article, we’ll discuss herd goals for milking efficiency to help increase awareness of this concept for dairy producers and managers. It is nearly impossible for a cow to be in full milk flow for 100 % of the time that the cluster is attached. Often, there is a slight delay in milk flow after unit attachment. Depending on the settings for terminal flow and delay of the automatic cluster removers (automatic take-offs), the units will remain attached for brief periods of low milk flow at the end of milking. Also, milk let down will vary between cows in a herd, despite consistent milking protocols. Thus, fresh cows, nervous heifers, or cows in estrus, may deviate from the herd average. Nonetheless, if sound milking preparation is combined with timely cluster removal, the vast majority of cows will be exposed to only brief periods of high mouth piece chamber vacuum (the vacuum that “surrounds” the teat) during milking. The figure below displays the milking efficiency for 57 herds milking from 65 to over 3,000 cows in a variety of milking systems, although no robotic milking systems were evaluated. The average milking efficiency across all herds was about 78%, that is, cows in a typical herd are in high milk flow for only 78% of the time that the cluster is attached. The bottom 25% of herds had a milking efficiency of 72% or less, the top 25% of herds 86% or better. Top herds (top 10%) had a milking efficiency of nearly 90% or better. Thus, these top herds serve as indicators of what to expect when timely and consistent milk letdown and cluster removal at the end of milking are practiced. Milking efficiency is more than a score for your herd. More importantly, it can help draw attention to possible opportunities to improve teat health, mastitis control and milk production. As pointed out in earlier articles, the exposure of cows to bimodal milk let down and overmilking varies between herds. If milking efficiency is low (<80%), this suggests that milking practices, both before and at the end of milking, as well as equipment function, should be reviewed and evaluated. You don’t need VaDia recorders or other milking analysis equipment to get a ‘thumbnail sketch’ of possible problems in milking dynamics. For example, you can simply watch milk flow into the cluster after attachment, or look at teats for rings or congestion (discoloration) after the units come off. This is not unlike checking for the completeness of covering teats with a germicide after milking. Top herds achieve the ideal goal of machine milking ̶ the cluster is attached only while while milk is flowing, which optimizes teat and udder health and milk harvest. What are your milking goals? Just as your doctor recommends elevating your foot after injury, dairy farmers use hoof blocks to fight lameness. Rubber and wood hoof blocks help lift a cow claw off the ground after a foot-related injury. Blocking is a helpful treatment option that utilizes hoof blocks when claws are over-trimmed and for any injured claw. Generally, hoof care professionals place wood or rubber blocks on a healthy claw to elevate and restrict the affected claw so that it heals. Blocking helps make cows more comfortable and allows them to recover quickly, impacting milk production. Before hitting the woodwork, it’s important for dairy farmers to work with their hoof trimmers to consider the benefits of both blocking options for the cows they treat. When treating lame cattle, wood blocks provide protection and comfort at a lower cost. Wood reacts well to bonding adhesives due to its rough surface and can last anywhere from three-to-five weeks. Typically, wood blocks are less expensive than rubber blocks, allowing dairy farmers to save resources for other parts of their dairy operation. Wood blocks, made from either pine or hardwood, eventually fall off claws naturally, eliminating the need for hoof trimmers to go back to each cow to remove them. Ideal for minor injuries, a wood block will wear itself down during the healing process and require little to no extra maintenance. However, wood blocks lack traction and durability putting cows at a higher risk of further injury and distress. Wood also tends to wear unevenly, which could disrupt an animal’s walk or weight distribution, resulting in continued lameness. When utilizing blocking techniques, rubber blocks provide traction and comfort for wet and slippery surfaces. Rubber blocks, made out of a durable compound with a unique surface pattern, deliver the extra cushion needed for a cow to feel at ease during the healing process. Typically rubber blocks are more durable than wood blocks, and on average, rubber blocks stay adhered on claws for more than six weeks after application. However, rubber blocks usually require a hoof care professional to remove them once an injury heals. This type of block comes in a variety of heights and sizes to support specific claw injuries. Like a flat shoe, a thin rubber block allows a minor-injured cow to move in a mundane manner as the claw is lower to the ground. Whereas, like a high-heel, a thicker rubber block limits feet flow for more severe injuries. Rubber blocks can be easily trimmed and manipulated to adjust the course of a cow’s healing process. Consider these factors when deciding what type of block to use in the fight against lameness. Talk to your hoof care professional about the importance of blocking, and the best options for your dairy environment. For more information about blocking solutions for your dairy farm, visit https://www.vettec.com/en-us/bovine. Many of the great leaders have been quoted saying something along the lines of “children are our future” and that what they are shown and taught now will change the way our world is in years to come. Similarly, your calves are the future of your herd. Much like parents take care of their children, dairy farmers must take care of their calves, starting the first day of life. What we do for our calves now will impact their future performance in the herd. Care of the newborn calf is crucial to a healthy, well-performing calf. From the moment the calf is born, the calf is exposed to an environment that is full of harmful bacteria that can negatively impact the newborn. 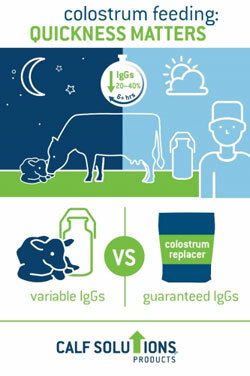 A neonatal calf’s stomach is a completely sterile environment and susceptible to all types of bacteria, good and bad. Let’s ask ourselves, what can we do to help these fresh, little calves thrive? You’re in luck because we’ve got 4 simple steps to follow in newborn calf care that will help lessen the incidence of disease. Step 1: Remove calf from cow immediately after calving (30-60 minutes). Keeping the calf with the cow and allowing the calf to nurse leads to the incidence of disease increasing and higher mortality. The chart below shows that higher mortality was observed when calves were allowed to remain with cow after birth. Step 2: Disinfect navel with 7% solution of iodine or a product designed for navel dipping as soon as possible after birth. Studies show that the incidence of umbilical infections range anywhere from 1-4%. To help prevent umbilical infections clean the maternity and calf pens and dip navel shortly after birth. Step 3: Keep calves dry and warm. As we know, wet, cold calves use more energy to try and stay warm. Burning this energy reduces their immune response making them more prone to sickness. In the winter especially, dry newborn calves in warming box for one hour if needed. Be sure to sanitize the warming box frequently. An additional option that is very typical is to use calf jackets in winter months. That’s it, 4 simple steps. Remove calf from cow quickly, disinfect the navel, keep calves warm and dry, clean and stimulate cow udder, collect colostrum in a sanitary manner. By following the outlined steps, your calf will be well taken care of and have an advantage in life. They will be a key player in your future herd. Healthy heifer calf is born. You milked the dam, tested her colostrum and fed the calf a high-quality meal all within an hour of birth. But, let’s get real. Delivering colostrum to newborn calves doesn’t always go that smoothly. The dairy industry is in crisis and there is no simple fix to the problem. The new reality is consecutive years of mediocre margins and over the long-term, possible erosion of farm equity. Is it realistic to assume that consecutive years like 2014 are possible? If that is not the case, then there are some tough questions that probably need to be answered. Table 1 lists the average income over feed cost for the past five years. If the dairy industry was able to repeat 2014’s number for consecutive years that would help many farms improve their financial health. However, it is highly unlikely that scenario will occur. The 3-year average breakeven income over feed cost per cow has been around $9.00 (Penn State’s Dairy Outlook, November 2018). The only year since 2014 that comes close to showing a surplus is 2017. The extremely high number in 2014 was after six years of mediocre margins. This is not a sustainable cycle in today’s economy, even for operations that have consistently maintained competitive costs of production. Table 1. Average prices from Dairy Sense for the past 5 years. On most farms feed costs represent the largest or second largest expense. Over the past five years feed costs have remained relatively high. There has been a slight downward trend; however, feed costs are still highly significant to the operation’s cash flow. The culprit is not necessarily the purchased feed cost. Due to unusual weather patterns, producers have struggled with extreme drought or excessive moisture at the wrong times. Yields have a direct influence on profit; the cost to produce forage is the same whether yield ends up high or low. When forage and feed quantity suffer, the home-raised cost for forage can be as high as the market price and more purchased feed will be needed to offset the shortfall. The other scenario is the affect weather has on quality. Both outcomes can have a negative impact on animal performance, which then affects milk income and ultimately has a negative impact on the operation’s breakeven cost of production. The first step to overcoming this impasse is to “Know Your Numbers”. This is more than just calculating an operation’s breakeven margin or cost of production. It is knowing where cash is going out and if enough cash is coming in. Based on work with hundreds of dairy producers of all sizes, the Penn State Extension Business Management Team has summarized data to help illustrate what is normal or excessive. There are many facets to the cow, a biological unit, and milk income is impacted by deficiencies in nutrition, reproduction, and health to name a few. If any of these are ignored, a short-term problem can easily turn into a long-term one. Monitoring the herd’s financial and performance metrics, even on a quarterly basis, can help keep the operation on target. Considering the new normal for the dairy industry, business as usual is no longer sustainable. Action plan for monitoring a dairy’s financial and production health. Goal – Determine the business’s breakeven margin and monitor the appropriate production metrics on a quarterly basis. Step 1: Utilize Penn State Extension’s Excel Cash Flow Spreadsheet to determine the farm’s breakeven cost of production. Step 2: Evaluate expenses and income to check they are in line. 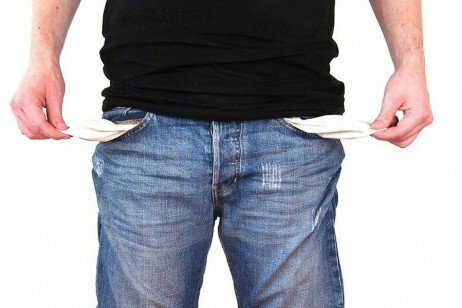 For any outliers in direct, overhead, or family living expenses, examine opportunities for making reductions. If income in inadequate, examine production related bottlenecks. Step 3: Set goals and timeline for making any adjustments. Measure and monitor the appropriate metrics. Step 4: Work with an advisory team and discuss strategies for improving the financial health and/or production related limitations. Monitoring must include an economic component to determine if a management strategy is working or not. For the lactating cows income over feed costs is a good way to check that feed costs are in line for the level of milk production. Starting with July 2014’s milk price, income over feed costs was calculated using average intake and production for the last six years from the Penn State dairy herd. The ration contained 63% forage consisting of corn silage, haylage and hay. The concentrate portion included corn grain, candy meal, sugar, canola meal, roasted soybeans, Optigen® and a mineral vitamin mix. All market prices were used. Note: Penn State’s January milk price: $17.94/cwt; feed cost/cow: $6.20; average milk production: 85 lbs. In the environment of today’s dairy industry, producers need to evaluate all areas of the farm to control costs and achieve optimum profitability. One way to control costs is by minimizing the rate of disease in your herd. The costliest disease found on dairy farms is mastitis. Mastitis can cause both clinical and subclinical disease. On many farms, subclinical mastitis is the most economically important type of mastitis. This is due to the long-term effect of chronic infections on total milk yield throughout the entire lactation. Persistent long-term infections with contagious pathogens can damage milk secretory cells and result in reduced milk production. It is estimated that the cost of subclinical mastitis to the US dairy industry exceeds $1 billion annually (Ott, 1999). The effects of subclinical mastitis are found in somatic cell counts of the bulk tank and individual cow tests. The SCC of cows infected with subclinical mastitis rises as the cow’s immune system sends white blood cells to the udder to fight off mastitis causing pathogens. 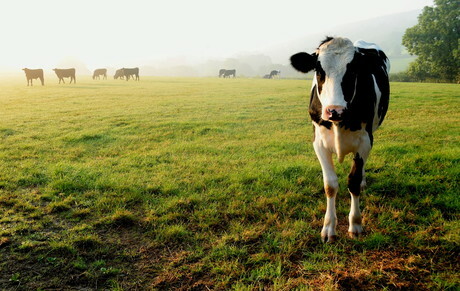 The overall production loss for the average US dairy farm is estimated at $110/cow annually and increasing each year. Improving milk quality is important for every farm looking to boost profitability. High SCC milk is not desirable for milk processors because it reduces the shelf life of dairy products and diminishes the quality and quantity of milk protein, in return reducing cheese yields. It has been shown that cheese yields from an individual cow are affected when SCC exceeds 100,000 cells/mL. Cheese yields of milk comingled from a group of cows are impacted more by the proportion of cows with SCC >100,000 cells/mL than by the bulk tank SCC average. Most milk cooperatives pay premiums for higher quality milk. In the past year producers have seen these premiums slowly erode, but achieving the highest premium available can make or break some dairies. Quality premiums are a great opportunity for producers to increase profitability and are one of the few ways to impact the price paid for milk. Farms that are not maximizing this opportunity are missing out on an important source of income. Controlling subclinical mastitis and producing lower SCC milk represents a potential profit opportunity associated with both increased production and increased milk price through premiums. Most farms can justify an investment in improving their milk quality program, simply by the return of real dollars in quality premiums. Somatic cells in milk consist of white blood cells and epithelial cells that are shed from the udder. When the cow’s udder becomes inflamed, her immune system sends large numbers of white blood cells to fight off the infection. A SCC >200,000 indicates that the cow has a subclinical mastitis infection. Linear score (LS) is another way to measure SCC. 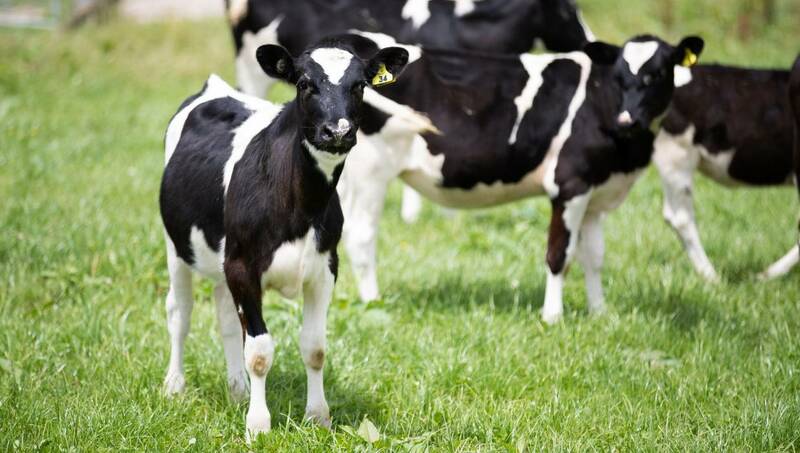 Research has shown that LS is highly related to loss of milk production in infected cows. Loss of milk production is the result of damage and chronic scarring of milk secretory tissue in the udder. Linear score data can be used to estimate milk production losses due to subclinical mastitis. Each increased unit of LS greater than the farm goal equates to an annual loss of 200 pounds of milk for first lactation animals or 400 pounds for older animals. Improvements in subclinical mastitis are not always as easy to see as increased milk quality premiums, but considerable improvement in production is possible by limiting the number of subclinical mastitis infections on your farm. Clinical mastitis can also cause financial loss for a dairy farm. The cost of clinical mastitis is often difficult to determine because the definition of a clinical case varies among employees and between farms. Treatment protocols vary, and many farms do not routinely record the number of clinical cases that occur. The largest cost of clinical cases is typically discarded milk. On many dairies the cost of discarded milk can be a considerable, hidden cost of clinical mastitis. Cows that are chronically infected and treated repeatedly contribute less milk to the bulk tank. Keeping records of the number of clinical cases of mastitis and the number of days milk was discarded can be important in achieving optimum profitability. 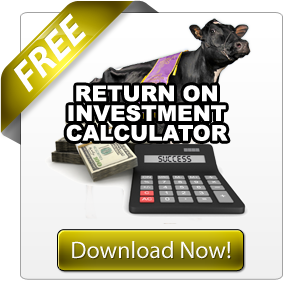 A cow is not profitable to your farm unless she produces milk that can be sold. Lost premium opportunities, decreased milk production, and discarded milk are only some of the total costs associated with mastitis on most dairy farms. Mastitis causes additional losses due to death, culling, decreased genetic gain, and reductions in reproductive efficiency. These additional costs are often difficult to track on an individual farm. Keeping accurate on-farm records of clinical mastitis cases and treatment methods and testing SCC monthly will help you develop a more accurate picture of what mastitis truly costs. Don’t wait; tackle milk quality issues now! Contact your local Penn State Extension Dairy Educator to help you trouble shoot and make your farm more profitable. Balancing starch digestibility with other dietary energy sources and effective fiber– Starch digestibility in fermented feeds increases with time ensiled, and therefore forages need to be monitored closely heading into the spring. Excess starch digestibility can have a negative impact on rumen pH and milk fat. Focus on other sources of fermentable carbohydrates like digestible NDF or sugar to prevent sub-acute ruminal acidosis. Provide enough physically effective fiber to stimulate rumination and maintain rumen mat integrity, Also be sure to monitor forage particle length to prevent sorting. Water beds for cows improve comfort and milk production at the University of Missouri’s Foremost Dairy Research Center near Columbia. It’s time to address the “cow” in the room. By that, we mean any potentially cow-centric misconceptions or ideas about fighting climate change. California has made great progress as a long-time leader in the effort to reduce greenhouse gas (GHG) emissions, and its dairy farms are doing their part, producing highly nutritious and affordable foods while continually reducing their carbon “hoofprint.” Our dairy farmers know that further improving environmental performance is not just about what’s “technically feasible,” but also what’s economically sustainable. In a tremendous undertaking, California dairy farmers are currently partnering with the state to further shrink dairy’s carbon footprint to unprecedented levels and support the transition to clean energy and transportation. We hope these efforts can serve as a model of what’s possible—to help distinguish the highly-ambitious-but-achievable climate goals from any pie-in-the-sky ones. In discussing cows and realistic climate strategies, let’s start with reviewing dairy’s contribution. In California—the nation’s leading dairy state—the entire livestock sector (including cattle, swine, poultry, and sheep) produces about 5 percent the total GHG emissions. The California dairy sector’s relatively low carbon footprint, compared to other regions around the world, has been achieved through decades of improved efficiencies—producing more milk with fewer cows. California dairies continue to reduce GHGs by reducing reliance on fossil fuels through solar energy generation, conversion of farm equipment to electricity and adoption of energy-efficient measures and equipment. And now, the state’s dairy farmers are actively pursuing the reduction of methane—a short-lived climate pollutant. In California, approximately half of dairy methane emissions are enteric (coming directly from cows), while the other half come from how manure is handled and stored. Several emerging feed additives show potential to reduce enteric emissions; however, none are yet commercially available. California is the only region in the world with a goal to reduce dairy manure methane emissions by 40 percent by 2030. Three main strategies are being used: 1) capturing methane via digesters and turning it into renewable energy, 2) avoiding methane via alternative manure management technologies and strategies, and 3) supporting ongoing research into new and better ways to reduce manure methane. The state and its farmers are making great progress, but achieving the 40 percent goal will require continued incentive funding and ongoing coordination in all three areas—not to mention the cutting-edge research needed to accurately measure emissions (and verify reductions) at an unprecedented level. Through the use of digesters, California dairies are not only shrinking their carbon footprint, they are also helping the state transition to clean energy. Of the state’s 48 climate programs, the Dairy Digester Research and Development Program is the most effective investment to date in terms of total GHG reduction. It’s also the third most cost-effective, providing one ton of GHG reduction for every $8 invested by the state. By comparison, heavy-duty transportation sector investments are providing just one ton of GHG reduction for every $600 invested by the state. The state is investing in projects that will create carbon-negative renewable natural gas (RNG). According to the California Air Resources Control Board (CARB), dairy biomethane is by far the least carbon-intensive transportation fuel currently available in California with a negative carbon intensity score of -255, making it nearly ten times more effective at reducing carbon than even electric vehicles. Aside from GHG reduction, when used in heavy-duty trucks, the renewable fuel will play a significant role in helping improve air quality. With continued funding, the state is on pace to have as many as 120 dairy digesters operating by 2022. This effort will require significant investments in infrastructure needed to collect biomethane from the dairy digesters and to clean, condition, and inject it into natural gas pipelines. Meanwhile, CARB is working to create stable market incentives for the sale of the RNG. Additionally, with the implementation of Senate Bill 1440 (Hueso, 2018), utilities may soon be procuring biomethane under long-term contracts from dairies and other projects. These developments will be essential in ensuring the long-term economic sustainability of the state’s barn-to-biogas projects. While there is still much work ahead, California has achieved significant milestones. Dairy farmers have a long history of working with state officials and researchers. 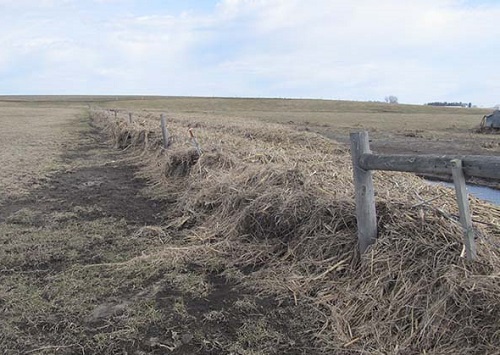 A key factor in success so far is that incentive programs offer practical approaches for farmers to improve manure management in ways that work best for their operation. Continued incentives will be critical for family farmers who are dedicated to the environment, but are also struggling with rising labor, energy, and regulatory costs. In the past ten years alone, more than 500 California dairy farm families (28 percent) have either closed their operations or left the state. That’s why voluntarily achieving the 40 percent goal—and avoiding the need for future costly regulation—is critical to sustaining the state’s remaining family farms, which are among the most environmentally friendly in the world. It’s a challenging task, but California is developing a world-leading model for climate-smart dairy farming. The state is demonstrating how well dairy can fit into a low-carbon future as an affordable and nutritious food for a growing population and as a valuable source of renewable energy. However, accomplishing the 40 percent goal by 2030 will require ongoing incentive funding and continued cooperation. So, when we hear of cow flatulence and pie-in-the-sky climate goals, we hope the joint effort of California and its dairy farmers will serve as a helpful example. His brainchild is a GPS-enabled collar powered by solar energy, named Halter, which was unveiled to farmers at the Central District Field Days at Manfeild, Feilding, on Thursday. It self-herds cows and sends data about cows’ behaviour, emotions and health to a farmer’s mobile phone, saving time and money. The collar makes warning sounds when a cow approaches a boundary, teaching it how far it can move into an area. 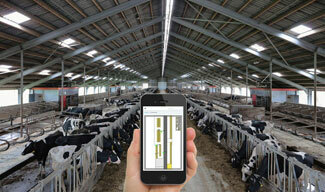 Farmers can set up schedules and have cows meet them at the milking shed, receive alerts when cows are on heat, calving or lame, and set up virtual fences to keep cows out of rivers and drains. Until now the collar has only been used on Halter’s trial farm in Morrinsville, but it will soon be rolled out to other trial farms before hitting the open market. Piggott never had a “lightbulb moment” or quit his job, but throughout his childhood he noticed farming was full of inefficiencies. When he started Halter in 2016, his vision was to reduce the intensive hours required to run a farm and the lack of technology supporting dairy farmers. “A farmer trying to watch 1000 cows, it’s impossible. Stick a device on them and you can see exactly what’s going on. The collars are paid under a subscription model, where the collar is free and farmers contribute a monthly fee, per cow, based on the features they want enabled. Halter retains ownership of the collars and takes responsibility for their maintenance. Patchy internet reception is no barrier, with connectivity only needed at the actual time instructions are sent to the collars. The company uses communication technology suited to rural areas, where signals can be sent to collars up to 8 kilometres away. DairyNZ and Waikato Dairy Leaders’ Group chairman Jim van der Poel had no sympathy for the Waikato dairy farmer who was last week fined $131,840 for over-irrigating effluent. Mr van der Poel said local authorities had his organisation’s full support in encouraging all farmers to meet their effluent obligations. “We are disappointed, as I’m sure most dairy farmers are, that a few individuals continue to let the sector down through failing to comply with effluent management rules. There is certainly no excuse for repeated offences that could have been prevented,” he said. “The total fine in this prosecution is significant, and sends a strong message to farmers who need to do better. We support the Waikato Regional Council, and other regional councils, in monitoring and prosecuting farmers for serious infringements of the rules. 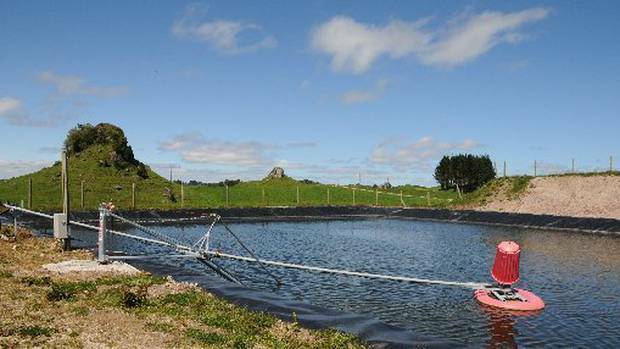 DairyNZ supported farmers with making those changes, and a number of resources were available, including a dairy effluent storage calculator, a farmer’s guide to building a new effluent storage pond and access to accredited effluent system designers. “The majority of dairy farmers are doing their utmost to make sure they’re doing all they can to protect the environment and the waterways that run on and near their farms every day,” Mr van der Poel added. The dairy sector was committed to helping farmers continue to operate more sustainably, and significant changes had been made over the last decade, including fencing off 99.4 per cent of significant waterways. “The first commitment in the sector strategy Dairy Tomorrow is, ‘We will protect and nurture the environment for future generations,’ and we intend to get all our farmers on track to achieving that goal,” he said. Liquid manure storage pit at a dairy operation. Photo by USDA Natural Resources Conservation Service. Corn dried distillers grains with solubles (DG) is a common feed ingredient for lactating cows due to its high protein and fiber contents. Because of its lower price compared with soybean meal (SBM), inclusion of DG in a diet can lower feed costs. 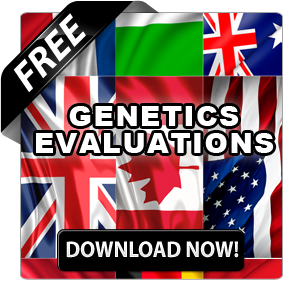 However, production responses to a DG diet can vary dependent upon its inclusion rate. Typical DG contains high fat (10 to 13% on a dry matter (DM) basis) and polyunsaturated fatty acids. So, if a diet includes high DG (20 – 30% of dietary DM), feed intake and fiber digestibility can be negatively affected and milk fat depression of cows often occurs. Reduced-fat corn dried distillers grains with solubles (RFDG; 5 to 8% fat on a DM basis) are another type of DG and produced by partial fat removal from DG. Because of low fat content of RFDG, negative effects that were observed with DG (e.g., milk fat depression) are assumed to be alleviated when RFDG are fed compared with DG. However, little information is available about RFDG, such as its safe inclusion rate without affecting production of lactating dairy cows. According to a few previous studies, RFDG was included in dairy rations up to 30% (DM basis) by replacing SBM, corn, and/or some forages and did not have negative effects on production of dairy cows (e.g., feed intake, milk yield, and milk fat yield). However, most experiments were conducted in a short-term Latin square design (2 weeks of diet adaptation followed by 1 week of production observation). Therefore, we conducted an experiment to examine effects of RFDG at about 30% in dietary DM on production of dairy cows. In this experiment, 12 cows per treatment were used and production was monitored for 11 weeks. In this experiment, the diet containing SBM and soyhulls was used as Control and RFDG replaced the soybean products for the 30% RFDG diet. Although the 30% RFDG diet did not affect milk yield (Table 1), it significantly decreased milk fat and protein yields. Importantly, the decrease in DM intake and milk fat yield became severe as the experiment progressed (11 weeks). In this experiment, although the inclusion of RFDG in a diet replacing SBM lowered feed cost, the income from milk and component yields also decreased due to milk fat and protein depression (Ohio prices of feeds and milk components when the experiment was conducted in 2017 were used). As a result, the income-over-feed-cost was lower for cows fed the 30% RFDG diet compared with the SBM diet. This experiment indicates that inclusion of RFDG in a ration at 30% (DM basis) can negatively affect production of cows, especially milk fat, and may decrease producers’ profits. The full version of the experiment can be found in the Journal of Dairy Science (2018; 101:5971-5983). If RFDG is available as a feed ingredient in your farm, the following are the tips that you may need to keep in mind and check before and during feeding RFDG to your cows. First, producers need to know what type of corn distillers grain with solubles they have (DG or RFDG). Potential risk of negative production effects (e.g., milk fat depression) is lower for RFDG compared to DG because of lower fat concentration when included at the same level in a ration. However, when purchased, corn distillers grain with solubles may not be labeled as DG or RFDG. Then, check the fat level on the tag and if the fat level is below 8%, then it is RFDG. Second, if what you have is RFDG, we suggest it to be included at a maximum of 15 to 20% in a ration (DM basis). A diet with 25% of RFDG may be okay, but this needs scientific confirmation. Third, when you include RFDG in a diet, monitor production of your cows closely (feed intake, milk yield, and milk fat yield) for at least 5 to 6 weeks. In our study, the decreases in DM intake and milk fat yield of cows fed the 30% RFDG diet become more severe as the experiment progressed, indicating that negative production effects may not be realized in the first 2 to 4 weeks. Fourth, if your ration contains monensin, be careful when RFDG is included in the ration. Inclusion of monensin in the 30% RFDG diet further decreased feed intake, milk yield, and milk fat yield compared to the control diet in our study (Table 1). Table 1. Dry matter intake and production of lactating Holstein cows fed a diet containing about 30% reduced fat distillers grain (RFDG) with or without monensin. AVAIL T5 allows more P to get taken up by the plant, instead of lost to the environment. Growers across the United States know the importance of phosphorus (P) in their farming operations. After all, P is essential for plants to increase root growth and enjoy a healthier start. For decades, farmers have applied more P onto their soil in hopes of helping those crops get the jumpstart they need. At times, soil samples suggest there is enough P in the soil to meet yield plans – and in close proximity to the plant as well. The problem is that P is often fixed and not available to the plant. AVAIL® T5 Phosphorus Fertilizer Enhancerfrom Verdesian Life Sciences helps unlock that P that is fixed in the soil, making it available for the plant. AVAIL T5 interacts with positively charged ions (calcium, magnesium, aluminum and iron) in the soil. Those soil ions typically react with the phosphate ions from applied phosphorus, causing the applied phosphorus to become “fixed” in the soil. AVAIL T5 slows fixation by temporarily binding the positively charged calcium, magnesium, aluminum, and iron. The result is more P in solution and the formation of more soluble forms P minerals in soil. Keeping P fertilizer more soluble allows the phosphorus to spread into a larger volume of soil, increasing the opportunity for root interception. This improved P solubility and root interception results in greater P uptake by the crop. This new video illustrates how AVAIL T5 works. Recent analyses indicate that two-thirds of the AVAIL T5 benefit is the increase in plant available P, and one-third of the benefit is from the improved early start of the crop with better early root development that allows the plant to better tolerate stresses throughout the season. Verdesian Life Sciences enables a sustainable future for farmers through nutrient use efficiency (NUE™). Grown from the ground up in 2012, Verdesian Life Sciences offers farmers and growers biological, nutritional, seed treatment, and inoculant technologies that maximize performance on high-value row crops and specialty crops as well as turf and ornamental plants. As a 4R Nutrient Stewardship Partner, Verdesian is committed to researching and developing environmentally- and financially-sustainable products. Further information about Verdesian is available at www.vlsci.com . Watch as a panel of young dairy superstars, discuss succession and transition from previous generations, risk evaluation, cash flow and more.